Highly trained staff are ready to assist you with the selection appropriate for your specific needs. 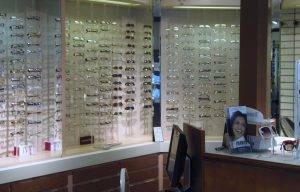 We take the time to discuss how different lens selections and frame styles will impact your vision. We carry designer eyewear, funky new fashions and old standards…. something for everyone.